We have made this special sword for our dear Customer. 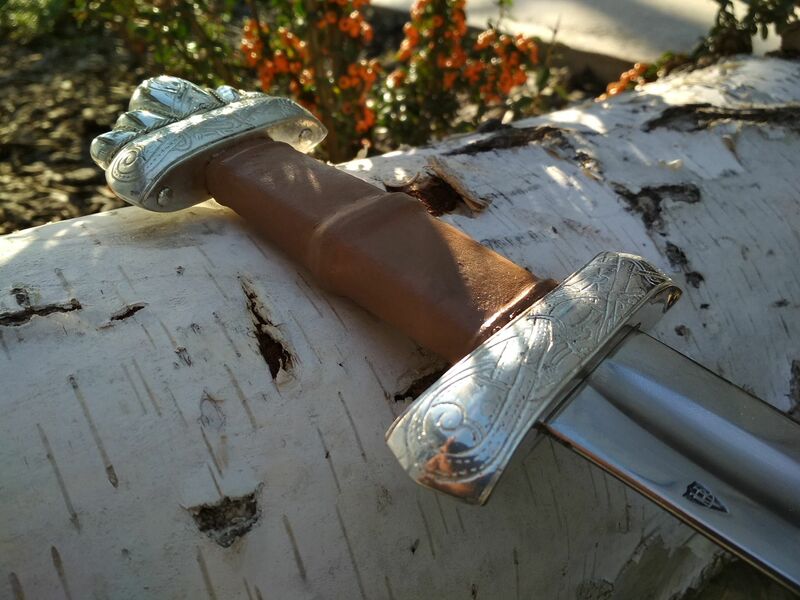 Viking Sword, based on Sandbu finds. The blade is 75 cm long and is made for use in battles, of tempered 51CrV4 steel. 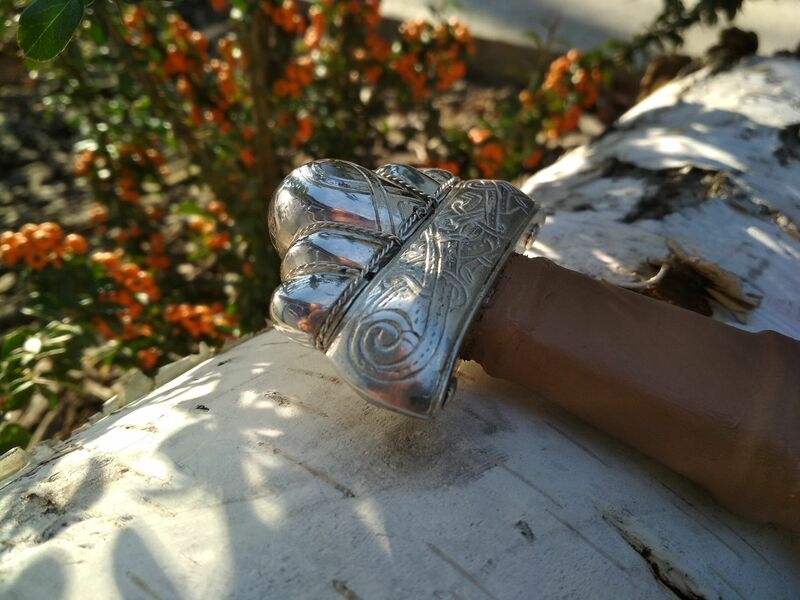 The pommel and the crossguard are hand engraved, raw material was copper. The wire on the pommel was made of silver, and the last step was to silvering the pommel and the guard. Thank You for the comission, Alexandre!